Do you experience gastrointestinal upset, irritable bowel syndrome, coeliac disease, inflammatory bowel disease, diverticular disease or other gastrointestinal conditions? Nutrition Strategies can work with you to help with your dietary management of abdominal symptoms and gastrointestinal condition(s). 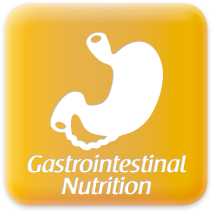 This includes an assessment of your gastrointestinal nutrition concerns e.g. food intolerance. Nutrition counselling and education resources are provided based on your nutrition goals e.g. nutrition strategies to manage with irritable bowel like symptoms. Includes a review of your progress relating to gastrointestinal nutrition concerns and making adaptations where necessary. This may include nutrition strategies for challenging relating to food intolerances. It may include discussing further food products suitable for your food intolerance(s). If you’re eligible you can have up to 5 visits with a Dietitian per calendar year bulk billed, no gap to pay. Ask your GP if you’re eligible for a Medicare Chronic Disease Management Plan, previously known as the Enhance Primary Care Plan (EPC). If you would like an extended consult, there will be a gap payment. A further 20mins will incur a fee of $52.95. An appointment can be made by contacting Nutrition Strategies direct on (08) 8234 9707 or online.